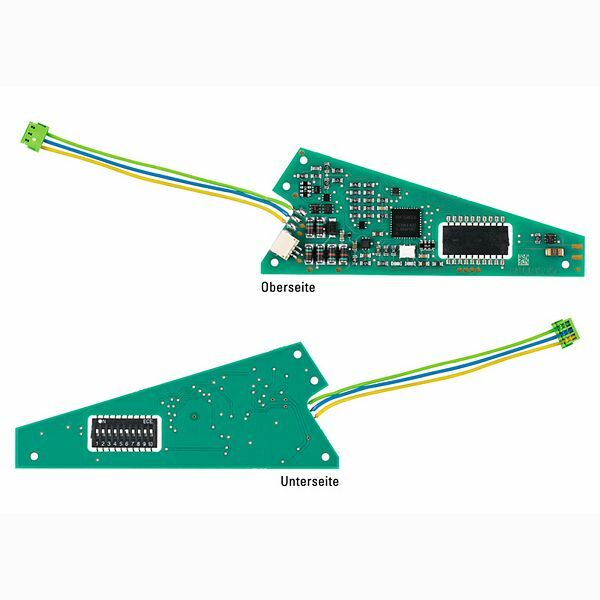 Product:This decoder can be installed in all C Track turnouts with an electric mechanism. The digital formats supported are mfx, Motorola, and DCC. Connections are with plug contacts. An address from 1 to 256 can be set with coding switches. A digital decoder can be installed simultaneously or later on with the electric mechanism for turnouts. The decoder is simply connected with plug contacts and it can be given a custom address for each turnout (Address 1 to 256). Tools or special knowledge is not required for the installation. The digital current supply can be taken directly from the train operation contact for the turnout. This gives you a finished digital turnout that is immediately ready for use on temporary layouts.